Earlier this week Matty reviewed some items in our Oyatsu Box, a Japanese treat subscription box service. Today we’re going to look at a few more items from the same box. Shaped to resemble corn and carrots and potentially other veggies I didn’t recognize, these chips are aerated inside, and have a nice crunch. 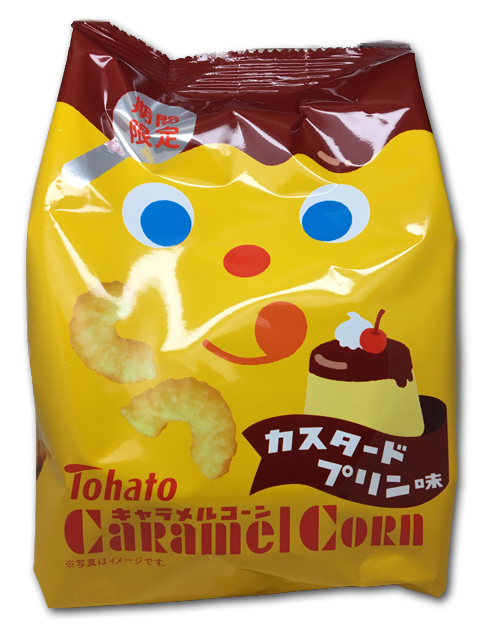 Also, they taste like curry, which is fantastic. 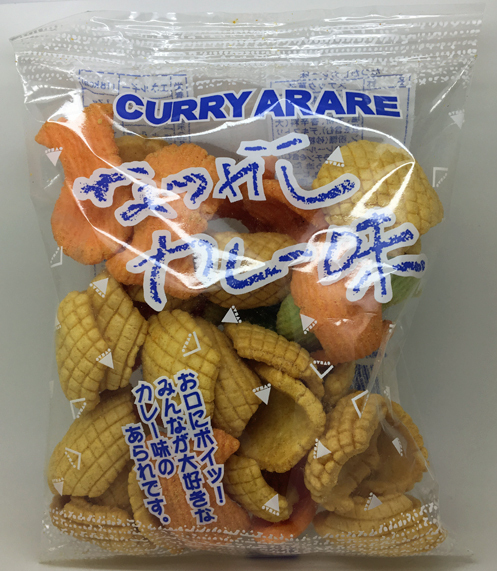 Unless you don’t like curry, in which case these clearly aren’t for you. The flavor was strong, so they’re not for the meek-and I devoured them. And when I say the flavor is strong, it’s actually kind of untrue-it’s subtle at first, and then sinks in almost after you’ve eaten it, and sticks around. 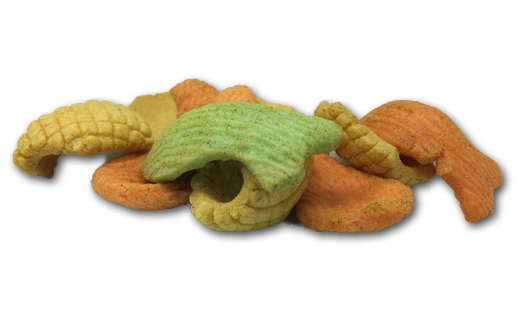 We also got to try what I thought at first were savory cheese puffs. And…they are, kind of. But they’re flavored like caramel. Candy corn? Nope. 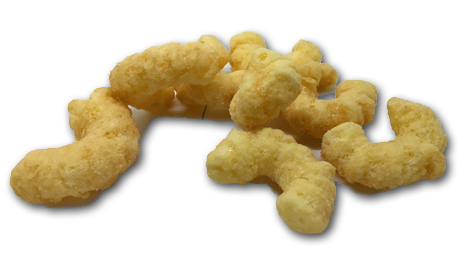 These are caramel flavored corn puffs. First bite: massive disappointment that these were in fact sweet, followed by me wondering whether I should spit it out or not. This was quickly followed by me swallowing, and grabbing a larger handful. At this point, I became worried that I’d eat the entire bag, which was quite large. Oddly, weirdly addictive. I’d be lying if I didn’t wish there was a bit more salt on these, but despite that issue, they’re really quite good. I’ve never tasted something like this before, and never thought that I would have liked it. 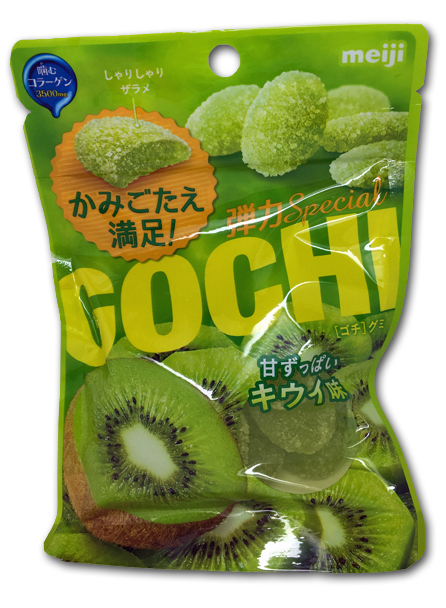 I saved the best for last though: Meiji Gochi Kiwi gummies. These things are absolutely perfect. They’re slightly larger than a normal gummy, with a crunchy layer of sugar outside. The flavor is correct, and blooms nicely towards the end. But the consistency is the thing here. Tough, chewy, but in a unique way-not similar to Haribo. It’s got more…”shproing” to it. I wanna say they’re sour, but really they’re just tart in the finest way. I really, really loved these. And while I could try to source a link for you, the point of subscription boxes is to aggregate things that are hard or impossible for us to get here. And because the overall quality of Oyatsu box is so high, I really recommend giving it a test drive. 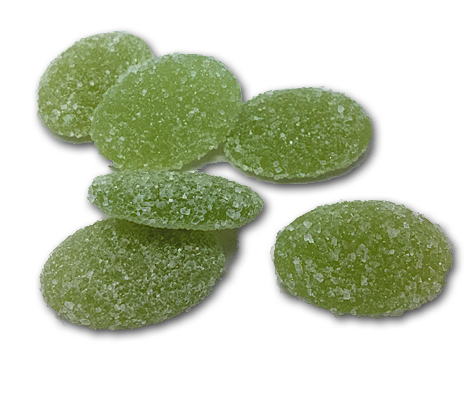 Having said that, if you just wanna check out these kiwi gummies, click the link below. Otherwise, give Oyatsu Box a test drive for yourself-we think you’ll be pleased.